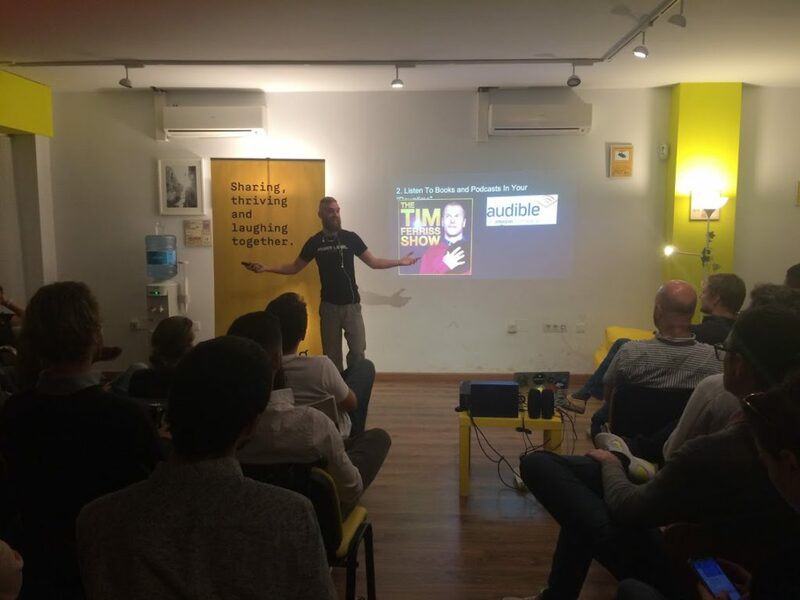 Our previous blog post gave you an insight into the amazing TGIF event on the 19th of January, which consisted of Jamón and an awesome presentation (even if I do say so myself) on Productivity Hacking For Dummies – PP. Even though I am no longer with the guys in the TLR office as I’ve moved onto the more exotic horizons of India, as I have already written a blog post on my work hacks, so I thought it was about time I share with you my life hacks too! So, I have zero new year’s resolutions. I simply cannot commit to something for a year, I’m awful at committing to something for this long, I think everyone is! I personally set myself 3 new skills to learn every month. This way it’s achievable as opposed to setting new year’s resolutions which, let’s face it, people don’t often accomplish! Hack #1: Don’t waste time on meaningless decisions. How much time have you spent trying to decide which restaurant to go to with your partners or friends? Or what you’re going to wear today? I’ve wasted so much time trying to decide things like this when really, it’s a pointless decision. It just doesn’t matter, flip a coin! Your life could be so much more productive by not wasting time making these kinds of meaningless decisions. Hack #2: Listen to books and podcasts in your ‘Downtime’. Everyone commutes to work, in fact, in Britain alone workers spend more than a year and a half of their lives commuting to and from work. Driving or sitting on a bus or train takes up an average of 588 days! 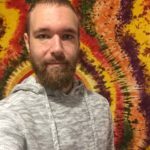 Make this productive and throw on a podcast, it’s so easy! I’m currently listening to “The Tim Ferriss Show”. He interviews really interesting people and they have really good tips. I listened to one not long ago on swimming, which is great as I’m awful at swimming. This means that basically when I’m walking to work, I learn how to swim! Just listen to something you want to learn how to do, and you can learn without even trying! No time wasted at all. It’s better to aim high and miss than to aim low and hit. My personal favourite! My aim to put on 5 kilos in 1 month is an extremely high target for me being an ectomorph. However, when you achieve these goals it only motivates you to do better and set new goals, and even higher goals! When trying to put on this weight I eat exactly the same thing every day, 7 times a day. I eat 4500 calories per day. To put that into perspective: Dwayne Johnson eats 5000 calories per day, I nearly eat as much as that beast! However, It’s incredibly boring and I’m always on the verge of vomiting because I’m so full. If I aimed for 3 kilos, I would have done it but I chose to aim for 5 kilos. Aim freaking high, in everything you do. You’re more capable than you think! Lars, a really interesting guy who came to TLR last year, was building an app and set himself goals every day. We were discussing a new idea on how to motivate yourself to achieve your targets, and we stumbled across this: When you don’t achieve your goal, give something you like to your worst enemy. I really like this idea as it makes sense. Naturally, you don’t want to give something you like to your worst enemy, so you’re going to do everything in your power to meet these goals! By failing to prepare, you are preparing to fail. Preparing for bodybuilding, you can’t simply say “oh, I’ll just go to the gym and eat a bit of protein” and expect to put on 5 kilos. It took me a full day to prepare my meal plan, if I didn’t prepare for that than it wouldn’t be working. I also have to prepare my exercises too and make sure they are carefully constructed to fit my body type. I should add here, as soon as I finish this diet plan, I’m buying a load of beer and a huge pizza and will inhale the entire lot! Conor McGregor (the professional mixed martial artist and boxer) is obviously very talented, but the reason why he’s good is that he’s more obsessed than anyone else: “Talent doesn’t exist, we are all equal human beings. If you put in the time, you will reach the top, and that’s that. I’m not talented, I’m obsessed.” He watches back all of his matches and obsesses over every move he makes, along with his techniques. He also obsesses about what he eats, how he trains, everything! By being obsessed you see improvements being made every day. If you measure everything you’ll nearly always get a gain, right? I measure my muscles every day and by doing this I notice small gains and feel super motivated to keep going! So there you have it, my 6 life hacks that help me keep motivated and productive every day. I hope these can be helpful for some of you guys out there too, give them a go and you never know what you could achieve! Originally from Canada, Danny travels the world and joined the TLR family in November 2017 for at least 2 months. Probably owed to him being a very passionate, extremely hard working and adaptable person, Danny has become a very involved TLR family member in no time. He’s built PC programs, video games, mobile apps and web apps. Danny wore many hats including the ones of a software developer, video game programmer, front-end programmer, back-end programmer, network programmer, AI programmer, full-stack developer, lead engineer, game designer, game producer, company founder and consultant.